Facebook has proposed a new Credits plan that will make it even easier for users to spend pots of cash on virtual items. Facebook Credits come hot on the heels of Zynga's appeal that the service become more app streamlined. The aim is to make purchasing virtual currency easy and painless. "The mental hurdle of moving to pay for something is high," explains Facebook Credit's manager, Deb Liu. "You take out your credit card, enter the information, and then buy something in Farmville. The next day, you play another game. If you want to buy something, you do all of that again. Imagine Facebook Credits as more like a euro, which makes it easy to spend money across countries." The program is currently in beta, but more than 100 app developers are testing the program. 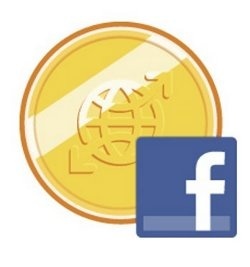 Although Facebook stands to turn a hefty profit from this venture, taking a whopping 30 percent of all transactions, developers still think they would have something to gain by offering credits on top of their own virtual currency. Facebook Credits will also be tied into your credit card and other services - Chase users will be able to spend their reward points on Credits. Facebook plans on giving free credits to users when it launches, which could entice them to purchase more later. At the moment, only 1 to 3 percent of users purchase virtual goods; but 3 percent of 400 million is still a baffling amount. If Credits can raise this amount even by a few percent, the entire endeavor would be worth it. Liu says the ultimate goal is to help developers by helping to lower the barrier of entry that many users experience when deciding to purchase virtual currency.